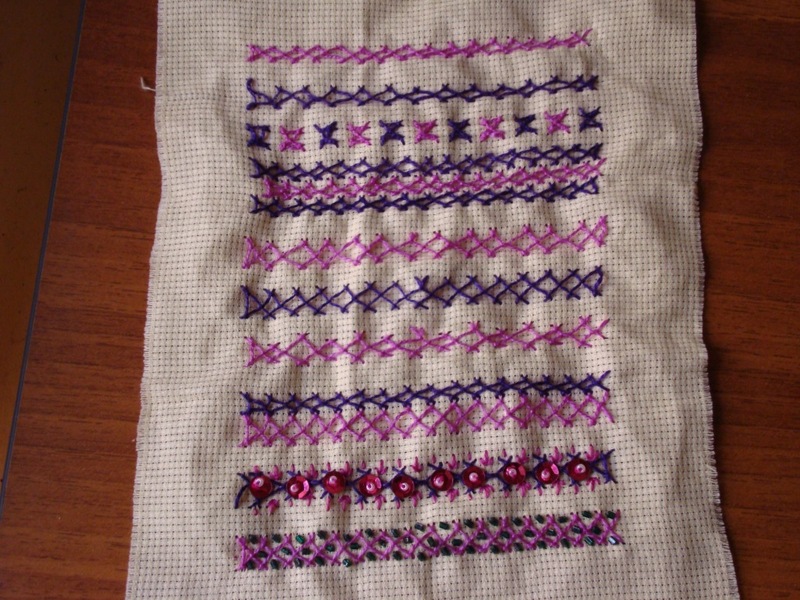 For want of better ideas, this challenge also is done as four inch line sampler.I have used perle cotton in two colours. 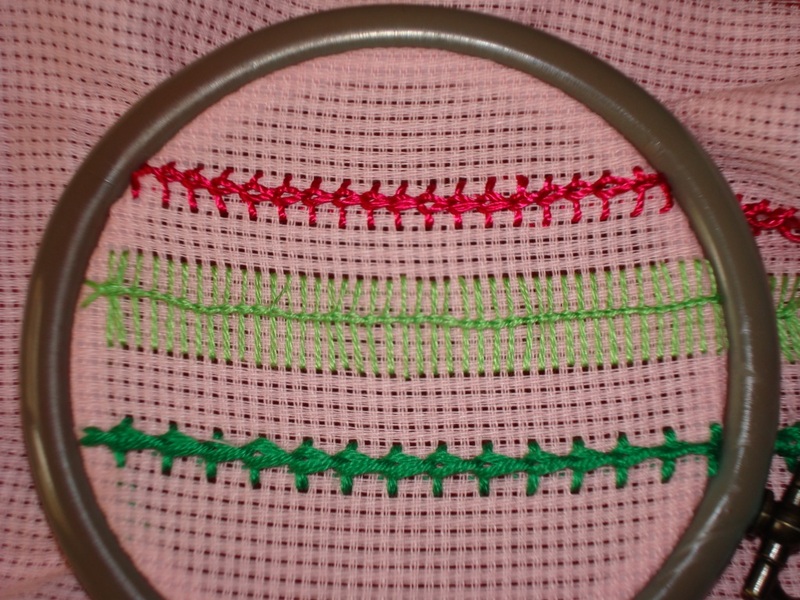 For this tast2 challenge,I’ll also try using beads and sequins to make it more attractive[?] 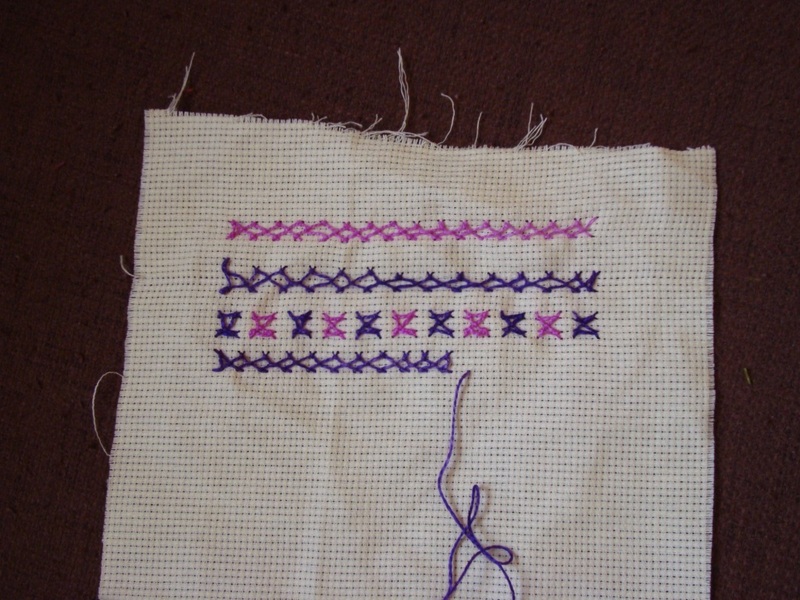 This is just to hide the fact that my sampler looks like a doodles of a child.